Highlighting the increased levels of life cover available with Underwritten Life Insurance, Over 50s financial planning experts Over50choices launch their unique new life insurance comparison service. An Underwritten Plan could provide at least 40% more cover. 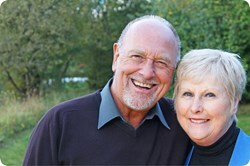 Over50choices is the first website to offer its visitors the chance to easily compare Underwritten and Guaranteed Over 50s Life Insurance, a groundbreaking introduction considering that customers looking for Life Insurance could get at least 40% more cover for their money with an Underwritten Plan. Guaranteed Over 50 Life Insurance plans have been around for a number of years now and have proven extremely popular with those looking to put money aside to help pay towards funeral costs. In fact, though life insurance offers flexibility in that families can choose how to use the money, around 80% of the people who buy them intend for them to be used this way. With over 250,000 Guaranteed plans sold every year, their appeal is easy to see. Quite simply, they offer straightforward and affordable life insurance with guaranteed acceptance and no medicals or health questionnaires to complete. This means that as long as a person is of an eligible age (usually between 50 to 80 or in some cases, 85), they will be covered after an initial one or two year period, regardless of their state of health. An Underwritten Over 50 Life Insurance Plan works in a similar way to the Guaranteed option, paying out a guaranteed cash lump sum when the insured person dies. The main difference is that acceptance is not guaranteed. The application process consists of a number of health and lifestyle questions and in some instances, applicants are required to undertake a medical. The unique comparison service clearly illustrates exactly how much more life cover a 50, 55, 60, 65 and 70 year old would get by choosing an Underwritten Plan over a Guaranteed Over 50 Plan, with the option of getting a personal quote for both within minutes. The site also has an easy to read comparison table illustrating the differences between the two plans and offers the choice of buying online or speaking to a team of experts if more information is required. In addition to Over 50s Life Insurance, the site also compares prepaid funeral plans, boasting the widest range of funeral payment options in the UK. In addition to all things funeral, the Over 50s specialist also compares car insurance, travel, pet and home insurance, income protection, health insurance and energy suppliers.